Krabi's accommodation options are as many and varied as the region itself and offer a great range of beachfront, ocean view or lush tropical garden rooms. With options available to suit all types of travellers and budgets, Krabi Accommodation ranges from guest rooms, hotels, bungalows, resorts, suites and villas. Although star rating and facilities vary from each accommodation type, all accommodation offered enjoys a modern range of amenities and facilities. 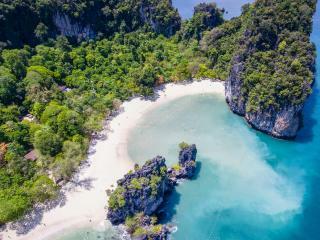 Centrally located by the Andaman Sea, Ao Nang is one of Thailand's best beach destinations. Striking the perfect balance between modern comforts and facilities and an ecologically sustainable tourist destination, Ao Nang offers a great range of family friendly water sports and activities. The region is also home to a great range of dining options, bars and restaurants as well as two vibrant nightclubs. 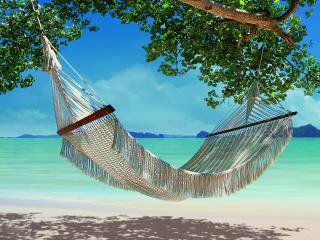 Located midway between Ao Nang Beach and Krabi Town, Tubkaak offers the best of both worlds just 20 minutes away. Enjoying a more relaxed vibe than the crowded high rise areas, the region is plentiful with natural beauty and is conveniently situated just 45 minutes from Krabi's International Airport and within minutes of local dining, entertainment and nightlife.